​I received the Ozobot Evo Educator Entry kit to use at work. I am not well versed in robotics or coding, but often use it in classes that I teach. I found the Ozobot Evo Educator Entry kit to be easy to use and informative. The kit comes with one Ozobot Evo, four color markers, a charging cable and a guide. The guide was very well laid out and user-friendly . The activities in the guide helped myself and other educators be able to quickly learn how to use the Ozobot Evo and utilize its abilities to teach students about robots and code. Since the Ozobot Evo is able to read color code done with the markers as well as be coded from a computer, the Ozobot Evo is versatile in age range. Students from Kindergarten through high school enjoyed using the Ozobot. This product received for free in return for an honest review. I have been using Seventh Generation's Multi-Purpose wipes to clean my kitchen for several weeks now. Compared to my usual multi-purpose wipe, these work just as well. The first thing I noticed was the scent, a pleasant and natural mint scent is all that I could smell. These wipes are also 98% bio-based, so I felt a lot better about using them compared to other wipes. As I was cleaning, the wipes were able to clean up all of the usual kitchen messes. I did need to use a little extra elbow grease with stuck on messes, but that was the only difference I noticed. These wipes are also safe for most surfaces, but I would double-check the label before using. Overall, a practical multi-purpose wipe that is better for the environment. ​This product was received for free in return for an honest review. Seventh Generation's Ultra-Thin Pads are comfortable and effective. The pad is not too bulky and is the right length for me. The filler was effective for a regular flow. I like that these provide a more environmentally friendly option that is chlorine free and wood pulp based. This product was received for free in return for an honest review. I use these wipes with my toddler who has sensitive skin. I usually use cloth wipes with water, but when we are on-the-go these work well and are a good environmentally friendly option. After using them on and off for a week, we had no skin issues. The wipes are a little bigger and thicker than some others, so I could use less for cleaning up messes. I also liked that they are safe to use on hands and faces for cleaning up food messes. As a bonus, the design on the wipe is really cute, too. Top Trumps and Lexicon Go! A fast paced word game that will get your brain working. Great for families or adults, players test themselves by racing to get rid of their tiles by making words. I loved that this can be played with just two people or a group. It can take as little as a few seconds for one round, but you can keep the fun going in a play-off style event. Small and portable, this one is also good to take on the road. 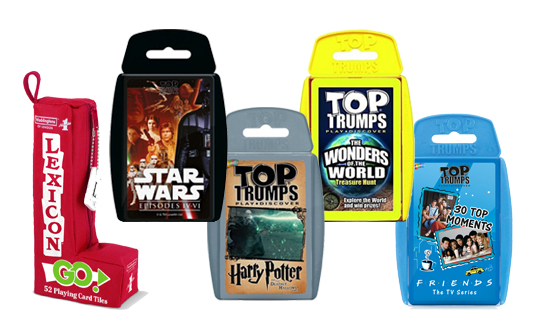 Top Trumps are card games in a variety of topics that have players face off in order to try and collect all of the cards in the deck. This was a very easy game to play and my three year old easily caught on. Kids only have to be able to read and understand numbers and values in order to play. 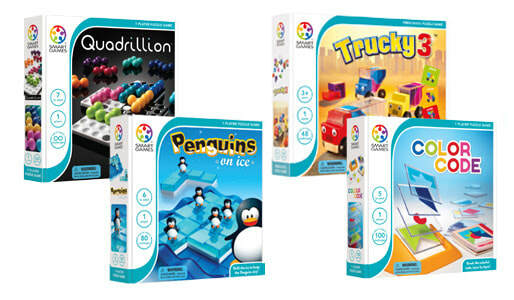 Young kids and families can choose a topic that they enjoy and easily play as each game has the same set of rules. With topics ranging from puppies to popular movies and places, the cards can be used as teaching tools or remembering favorite movie scenes. I was given the opportunity to play Top Trumps games and Lexicon Go! through Tryazon. My two year old and I were able to try the Toddler Mum-Mum Organic Rice Biscuits in Mango & Kiwi and Sweet Potato & Pomegranate flavors. The first thing I noticed is that these are a great snack for on the go, they are packaged with two biscuits in a pack, so they are easy to grab and go. Next, the ingredients are all organic and there is a short ingredient list- all foods I recognize. They are also low calorie and low sugar with 40 calories a serving and 2 grams of sugar. To top it off, my toddler actually likes to eat them. I might help that I called them 'cookies,' but this is a snack that he likes and will eat anytime. The flavor is similar to a rice cake with a sweet hint of fruit for each. Both flavor combinations work well, with the mango kiwi being a little sweeter. The texture easily melts and chews, but is still suitable for a good chewer. Overall, a responsible and healthy snack choice. Quadrillion is a fun but challenging problem-solving puzzle game that can be played with one player or a team. Players must complete a puzzle by filling in all the spaces with the different shaped bricks, it reminded us of Tetris! Our team of educators enjoyed the different levels that they game can be played on from less challenging to more challenging in order to reach a wide age range or build on skills. As we played the game, we enjoyed the easy set-up and compact size. Quadrillion also worked on a variety of skills such as spacial relations, shapes and area as well as team building, creative thinking, perseverance. We will be using this game in classes and camps to work on problem solving and team building. Penguins On Ice is a demanding puzzle game that can be played with one person or a team. Players must find out how to fit all the penguins on the ice board as shown with puzzle pieces that are able to shift shapes. This game is able to be adjusted for different levels and age groups. Penguins On Ice took the concepts of spacial relations, area, critical thinking and teamwork to another level as we watched ideas grow and solutions arise. Compact, portable, great for the road or to get brains warmed-up. Trucky 3 is a block games aimed at the preschool and early childhood ages. Children are given the problem of how to fit certain blocks into a truck without the blocks spilling over the top. This game has different levels as well and can help to reinforce concepts such as shape, size and color and then move on to spacial relations and fit. We were excited to use this within our Preschool as a facilitated activity. Color Code is a coding game that uses different color and shape disks to solve a problem. Players must figure out the order in which to place the disks to recreate a picture. From easiest to hardest the variety of challenges grows with age and ability level and works on a diversity of skills such as color, shape, order of operations, orientation, coding and problem solving. Our educators loved this as a puzzle challenge in order to get students' brains working. These games were received for free in return for an honest review. 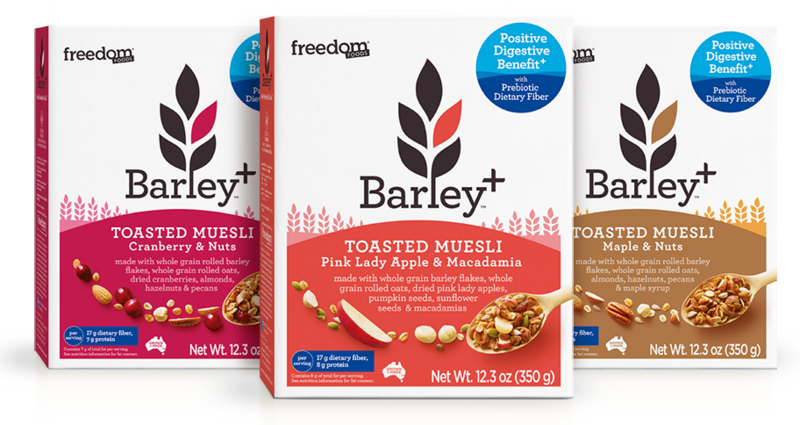 ​I was able to try the Barley + Toasted Museli Pink Lady Apple & Macadamia. I have always liked adding granola or museli to my yogurt, so adding this to my daily routine was no problem. I was very interested in their 28 day reboot and welcomed the chance to loose a little weight just by switching out my breakfast. I am very pleased with the taste of the Barley +, the pink lady apples and macadamia nuts added just the right amount of sweetness to the barley. Barley + was easy to eat as a breakfast food either as cereal or in a yogurt. I was careful to follow their serving suggestion of 2/3 cup every day in order to get the right amount of both soluble and insoluble fibers as well as resistant starch. I felt good knowing that by eating Barley + I was helping keep my cholesterol levels low, helping my digestive tract and getting my whole grain serving for the day. ​My group loved the Finlandia Cheese Sticks. We were able to sample the Gouda & Parmesean and the Cheddar & Gruyere flavors. We all agreed that there were great flavors! Everyone thought the flavor combinations wso different from the regular mozzarella, cheddar or colby that we are usually stuck with. This is perfect for expanding little one's pallets, and better yet, our kids liked these too. Also, the calories count is slightly less than the typical cheese stick. I loved that they are all natural with no GMOs or added hormones. These are perfect for an on-the-go snack or to cut up on crackers or apples. I used the Seventh Generation Free and Clear Laundry Detergent Packs when washing my 2-year-old's laundry as well as my own. We both have sensitive skin and 'free and clear' detergents tend to work best for us. I did a wash of our cloth diapers and a wash of clothes to test out this detergent. I have a high efficiency washer and do most wash in cold water. The detergent packs are convenient and worked well in the HE washer with cold water; there were no stains and did not irritate our skin when worn again. For clothes with food stains, I did use a pre-treatment. Most of all, I enjoyed that we had no skin issues and that this 94% bio-based detergent is better for the Earth, it is EPA Safer Choice Certified and the packaging is recyclable as well. This product sample was received for free in return for an honest review.